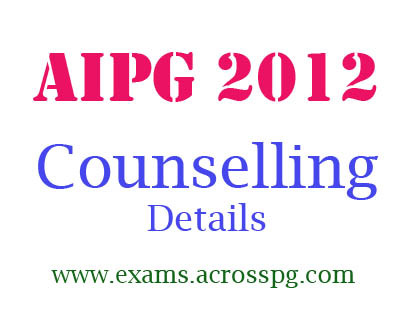 All India PG Counselling 2012 (AIPGMEE) Details - AcrossPG Exams! Since the NEET results, medicos are trying to search the details of previous year Counselling. To help them and to simplify things we gathered all the data here.